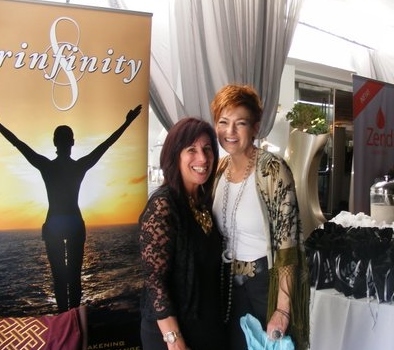 Trinfinity8 Rejuvenation Technology was invited by Secret Room Events to showcase its unique product to celebrities in town attending the 72nd Golden Globe Awards. 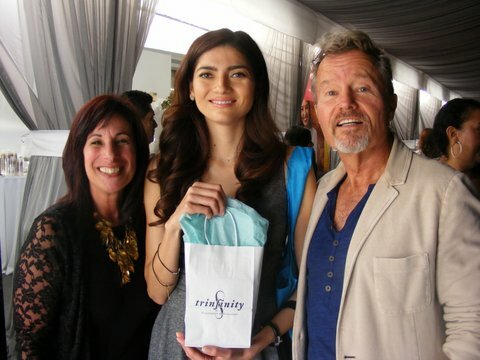 TV and film actors were in abundance as they sampled “hot new products” and walked away with some very nice freebies. 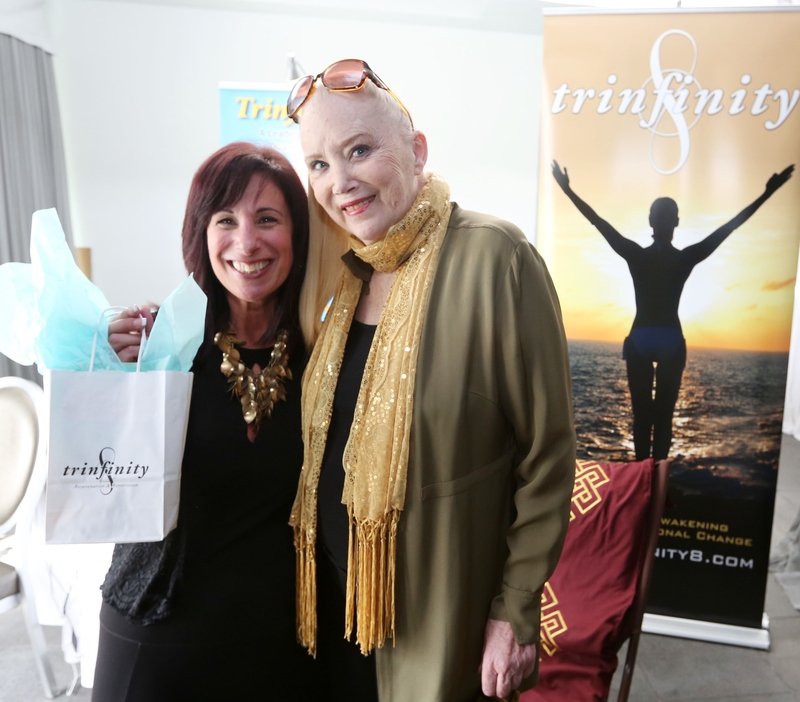 Trinfinity8 exhibited not only its technology with free sessions, but also unveiled new organic essential oils infused with Trinfinity8’s special healing algorithms. 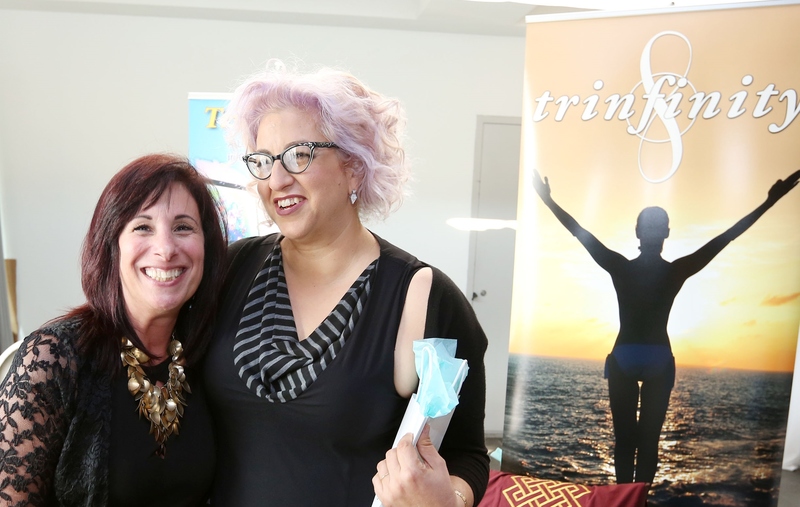 Attendees were gifted oils with such labels as CHILL OUT, DIVINE ALIGNMENT, and even LIBIDO BOOST. It was such a hit, we had people coming back for more. 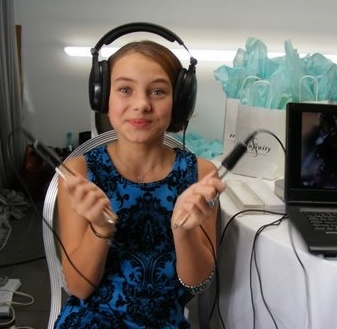 While some wanted Trinfinity8 facials, using our unique quartz crystal rods that stream mathematical information to the cells, others went straight for programs that opened up the spiritual-to-heart connection. As one participant commented, “You guys should be the first stop for everyone coming to this event. Getting attuned to what’s important should be a priority.” We wholeheartedly agree. Veteran actress SALLY KIRKLAND, of VALLEY OF THE DOLLS, still looking very good. 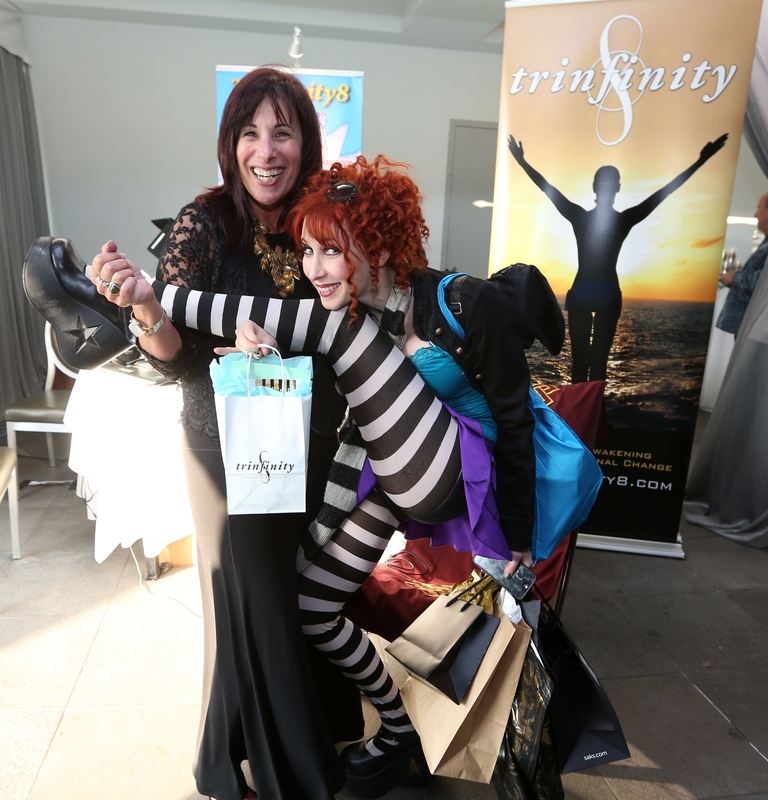 Beverly Hills aesthetician, Leora Veysey, gives Nashville singer/songwriter, SHERI PEDIGO, a crystal facial. 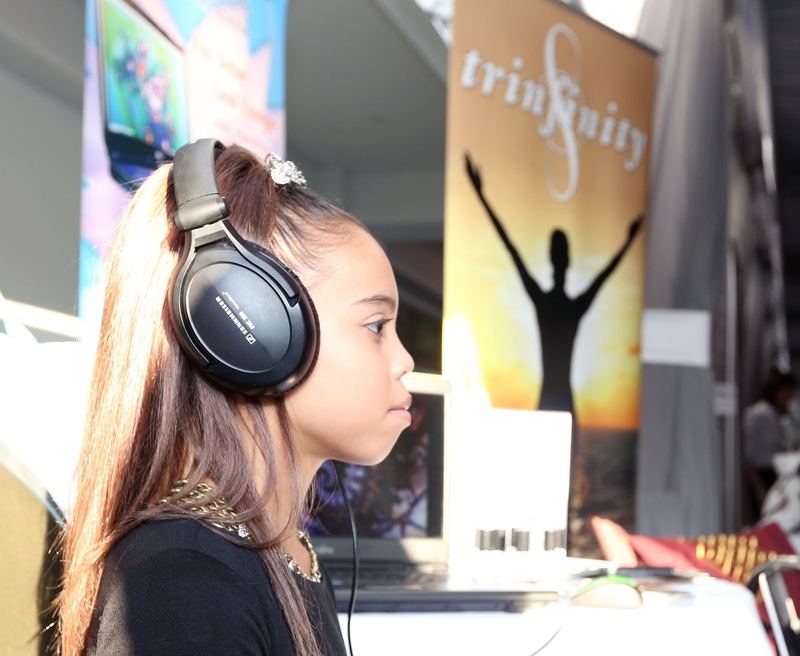 ASIA MONET of RAISING ASIA and DANCE MOMS, reports her backache was gone after her Trinfinity8 session. Very cool! I hope everyone there reads your book! How do I get the creams and crystal cream? We will make the algorithm-infused essential oils available soon to T8 owners.